Working in the unique and unpredictable pre-hospital environment requires flexibility and foresight on the part of medics. You should demand the same from your equipment. Our medical devices are designed to maximize care for the everyday situations you encounter. Keep pace with the progressive vision of pre-hospital care with a lightweight monitor designed for use with all patients, ranging from neonates through adults. When compressions fall out of range, the monitor guides rescuers back to high-quality, guidelines-compliant compressions. Open 12-lead capabilities reduce time-to-balloon by interfacing with all leading ECG management and STEMI systems. And cutting-edge open communication, including integrated WiFi, simplifies transmission and charting. Deliver customized, high-quality CPR whenever — and wherever — it’s needed with automated CPR. Engineered to account for patient-to-patient variability, automatically calculate the size, shape and resistance of each patient’s chest. A unique stabilizing board ensures patients receive nonstop compressions throughout their pre-hospital transport, even at the multiple angles required for rescuers to move the patient. Leverage a simple, non-invasive device that delivers intrathoracic pressure regulation (IPR) therapy during basic or advanced life support CPR to improve perfusion. Further increase blood return by actively re-expanding the chest to further enhance negative pressure. Make ventilation easy. Built on a platform designed for mobility, all of our ventilators weigh less than 10 pounds and feature a 10-hour battery run-time. Designed for optimal patient care of infants, pediatric patients and adults, our ventilators have CPAP (NPPV) with or without pressure support and Smart Help™ technology to guide the clinician when responding to alarms. Early defibrillation is a critical component in treating sudden cardiac arrest. When sudden cardiac arrest occurs, the fact is that only half of the victims will need a shock, but all of them will need high-quality CPR. 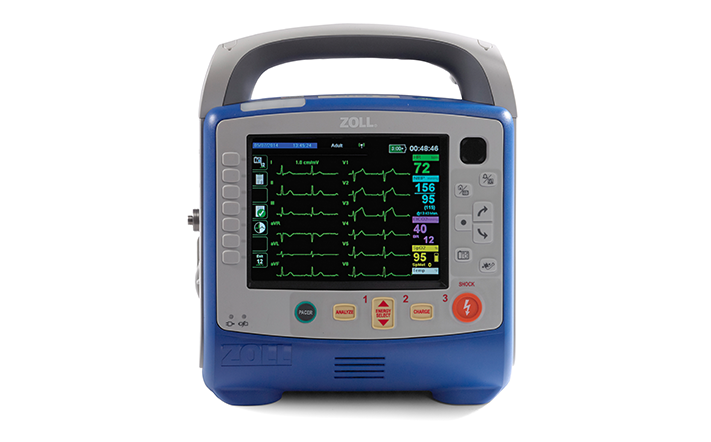 Our AEDs provide real-time CPR feedback on the depth and rate of chest compressions. Get the right resources to the right location at the right time. Ensure medics capture all necessary patient care data quickly and easily. Improve safety and reduce the cost of daily vehicle operations. Check out the latest insights for data-driven EMS. Improve your billing department productivity. Learn more about our EMS and Fire software products.